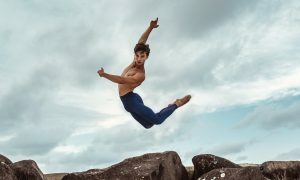 After 11 successful years operating as a reputable summer arts initiative within the Australian dance scene, International Summer School (ISS) will return to Sydney in 2018 under the leadership of new Artistic Director Terence Kohler, an international choreographer who created new works for The Royal Ballet of Flanders, Finnish National Ballet, West Australian Ballet, Hong Kong Ballet and the Ballett am Rhein Düsseldorf/Duisburg. Excitingly, the 2018 program will include the choreographic styles of acclaimed contemporary dance frontrunners William Forsythe and Alexander Ekman. Building on the legacy of former ISS Director Jacqui Dumont, ISS 2018 will introduce a series of new workshops and incentives that will focus on the creative development of young dancers. In addition to the popular offerings of junior and senior courses, which have traditionally explored a series of dance styles, the program will expand to provide students with direct access to the work of leading 21st century choreographers. The teaching faculty already boasts a list of renowned local and international names, including Robert LaFosse of American Ballet Theatre and the Jacqueline Kennedy Onassis School; Laura Graham, a ballet master and choreographic assistant at the Semperoper Ballett Dresden; Nina Botkay, formerly with Netherlands Dans Theater; Paul Boyd of Queensland Ballet Academy; and Jane Devine, formerly with The Royal Ballet and English National Ballet. ISS 2018 will also feature English dancemaker Cathy Marston as the initiative’s first Choreographer-in-Residence. “Our faculty has been curated to give students exposure to the international arts community, and our workshops are designed to inspire participants creatively. ISS 2018 promises to be our most exciting program yet,” commented Artistic Director Terence Kohler. 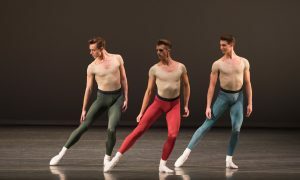 As part of the new course offerings, the youth.ballet and create.dance programs provide pre-professional students with introductions to the choreographic voices of major dance influencers Forsythe and Ekman. Students will also have the rare opportunity to audition for New York’s prestigious ABT Jacqueline Kennedy Onassis School through the masterclass.audition series. For more information on #ISS2018, which will be held at The McDonald College in North Strathfield, NSW, visit www.mcdonald.nsw.edu.au. See dates for the 2018 program options below. All photos courtesy of The McDonald College.